Away from the bustle of Darwin CBD, Regis Tiwi aged care facility is set amongst well-tended lawns and palm trees and features verandas, sunny courtyards, popular bbq area and a large shaded outdoor area. Tiwi is idyllically located only 5 minutes from the Casuarina Shopping Centre. Like all Regis aged care facilities, Tiwi delivers innovative aged care services including ageing-in-place, respite care and palliative care. Everything we do is aimed at living well. As an example, our unique Mosaic system is a discreet way of monitoring care needs whilst focusing on personal interests. Located just minutes from the beach, next to Dripstone Park, Regis Tiwi is a 135 bed facility offering single, double and shared rooms with en suites, along with contemporary furnishings and finishes, all with external patio access. 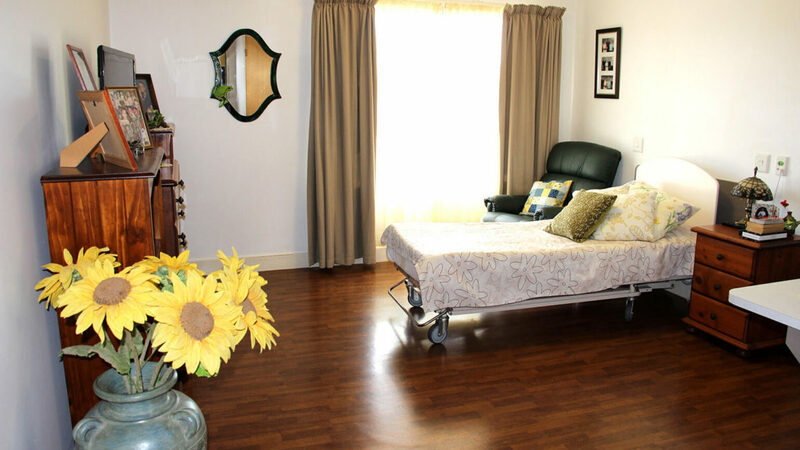 Regis now provides Home Care services in Darwin. If you’d like to learn more our Home Care experts can assist you to stay in your home for as long as possible. All packages are flexible. Visit regishomecare.com.au for more information or to Book a Free Consultation. Thank you to all your staff who did an amazing job of looking after dad which we know wasn't always easy. In our hearts we know his stay was a happy one. Thank you to the lifestyle ladies, the PCAs who did a good job of cutting his eyebrows (they looked great), nurse Tammy who always made him grin and Sar for all the milkshakes- dad so loved them (but not the green soup).